There are many coconut recipes. South Indian recipes use coconuts in many ways. 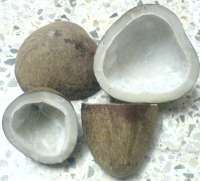 Coconut is known as Sriphal, Nariyal(Hindi), Naral(Marathi), tenginkai(Kannada, Tenga(Tamil) etc in Indian languages. Coconut is used in fresh or dried form. The dried coconut is known as Kopra, copra, khobre, khobbari etc. There are various forms in which coconut is used. 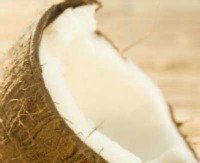 Each form of coconut has it's distinct taste, consistancy and nutritional benefits. Fresh grated coconut, coconut oil, desscicated coconut, coconut milk, coconut milk powder, coconut water / juice, kopra ( dry coconut), these are all the ways coconut is used in cooking. Grated Coconut In India, people in the coastal region use lots of coconuts in their recipes. South Indian Cuisine, Kerala foods, Karnataka, Tamilnadu, Andhra Pradesh uses coconut a lot. Goan cuisine also has coconut in different forms. 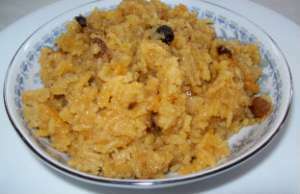 Chutneys, curries, sweets, vegetable dishes, snacks, rice dishes etc., everything has coconut in some form. 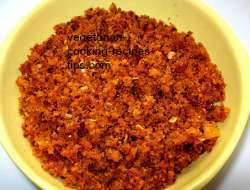 Serve with jowar roti, chapati, sprinkle on sandwiches.